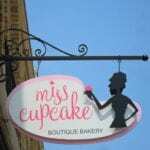 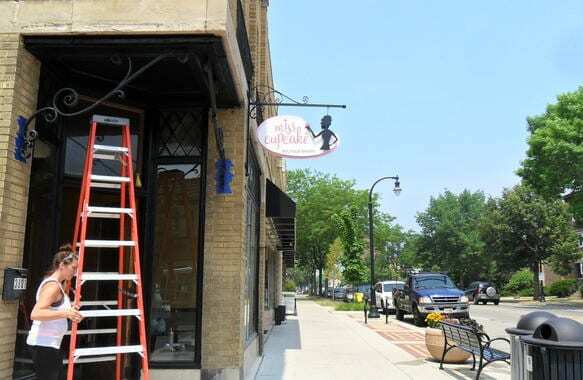 Boutique bakery, Miss Cupcake, wanted to maximize the visibility of its retail store located on a busy street in Milwaukee by adding custom exterior signage. 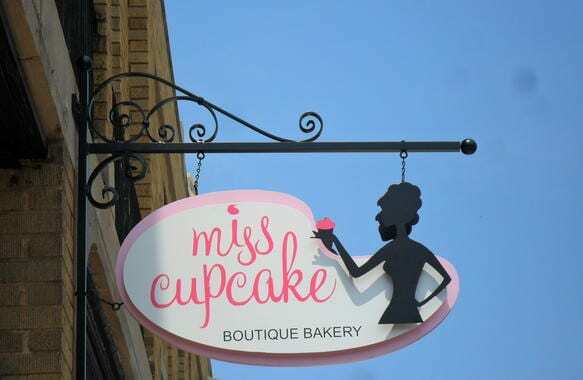 We built and installed this eye-catching custom-routed aluminum sign that was coated with Matthews acrylic polyurethane paint. 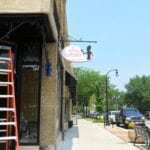 It’s 4’ wide by 2’2” high and mounted on an aluminum bracket.